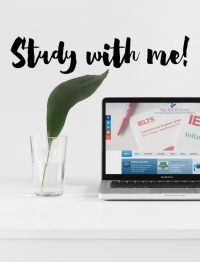 TAKING THE IELTS IN DECEMBER? Read more "TAKING THE IELTS IN DECEMBER?" Read more "Planning in IELTS General Writing Task 1"
Read more "New course! IELTS Topics Discussion"
Read more "Selecting information in IELTS Writing Task 1"
Read more "Synonyms in IELTS Listening"
Read more "Answers in IELTS Listening and Reading"
Read more "Studying the questions in IELTS Listening"
Read more "Identifying detail in IELTS Listening"
Read more "Referencing in IELTS Writing and Speaking"
Read more "Using abstract and concrete ideas in IELTS Speaking"